In June 2017, POPxo founder and CEO, Priyanka Gill recognised the need to bring individual influencers on to a single platform for brand positioning and marketing. She launched Plixxo, which is now India’s largest influencer marketing platform, with more than 26,000 influencers. Palki Malhotra – VP, Plixxo is the business head in charge of growth and operations. 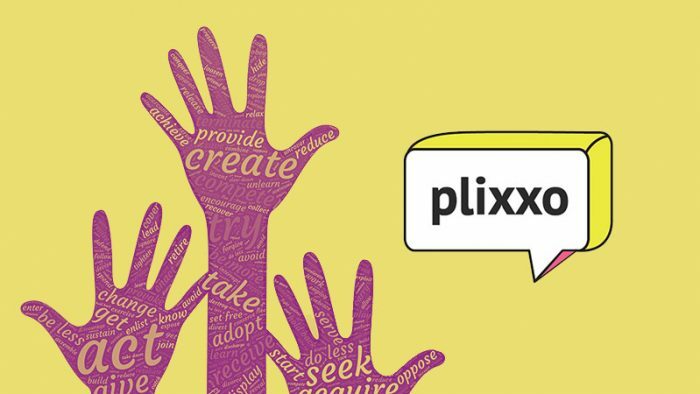 Plixxo caters to both influencers and brands. Bloggers, YouTubers, Celebrities, Instagram influencers and Campus influencers can sign up on Plixxo to access paid brand campaigns. Brands can invite thousands of influencers via Plixxo to join their marketing campaign. Plixxo simplifies running influencer campaigns for brands. For influencers, Plixxo is a platform that verifies their profiles, stats and reach. It signals that they are bona-fide influencers. It’s also an efficient business generation tool that allows them to pick up paid brand campaigns. It also boosts their audience through social media posts. For brands, Plixxo simplifies searching for influencers and verifying their reach numbers, It allows them to launch campaigns involving thousands of influencers. Brands have access to live campaign dashboard to track campaigns in real time. Plixxo makes running influencer campaigns easy and hassle-free. At POPxo, we had been running large-scale influencer campaigns since 2015 and managing them was complicated and time-consuming. We wanted to use technology to automate and simplify the process and scale up. With the launch of Plixxo as a tech-enabled platform, influencer marketing became easy and scalable. It met a growing marketing need for brands who wanted to use influencers to amplify their message but did not want the hassle involved in running these campaigns. Influencers are thriving on social media. It’s the most effective means of reaching out to millions of people with no geographical constraint. The growth of Instagram alone has bred micro-influencers who have taken to the platform to showcase their area of specialisation be it photography, cooking, baking, fitness, beauty, design, illustration, and given them an opportunity to monetise their passion. Social Media platforms like Instagram and Facebook are our lifelines – we use them to attract influencers, run campaigns and engage our influencer base. We have 26,696 influencers active on the Plixxo platform with a collective reach of 60 million. Plixxo influencers are present in 373 cities across India. We have successfully delivered 80 influencer campaigns for brands.The Plixxo core team is 10 members strong. We share sales, ops and HR functions with the POPxo team. One of our initial challenges was to get our influencers accustomed to using the Plixxo platform for the entire process, from accepting campaigns to submitting content for approval to taking the content live and raising invoices. We wanted to eliminate the need for coordination through WhatsApp and calls. Also, paying thousands of influencers through a single payment platform was a challenging task. And let’s not forget the fact that we had to convince our influencers in colleges to apply for a PAN card so they can be paid after completing a campaign! Creating the most powerful worldwide network of influencers and becoming the default platform that makes running large-scale influencer campaigns easy. We also want to grow the industry by providing training and education. We run influencer campaigns for brands at scale. Our margins are healthy. Influencer marketing is here to stay and we are excited to be the market-leader in this growing industry. We asked one of our young influencers for a canceled cheque to complete the KYC requirements so that she could be paid. She refused as she did not want to ‘waste her cheque’ on us! We then asked her to send us a scanned copy of her passbook and received a photo of its cover instead. The number of users online will grow exponentially over the next two years especially in tier 2 and tier 3 cities. With internet and smartphones becoming more affordable and accessible, the time spent on social media will continue to grow. Social media is going to be the most effective channels for brands to reach consumers and influencers and social media will have considerable impact on brand marketing and sales. Yes! Shoot a mail at team@plixxo.com, if you’re interested!